After months of rumors, Verizon announced Monday that it is buying Yahoo’s core business for $4.83 billion in a deal designed to make Verizon competitive as a global mobile media and digital advertising company. Analysts said the move primarily will help Verizon remain competitive against AT&T. Both, however, will trail behind Google and Facebook, which control the bulk of the $185 billion digital ad ecosystem. Verizon will face major challenges as it integrates Yahoo into its organization. Like other companies, Verizon will also face the dilemma of adjusting to consumer ad blocker technology, which puts the current ad-supported business model into question as never before. Both Verizon and AT&T need to diversify beyond traditional wireless service revenues, which are in gradual decline because the U.S. wireless subscriber market is essentially saturated. As part of that diversification effort, AT&T bought DirecTV in 2014, and Verizonbought AOL, a digital content and marketing company, last year. In announcing the deal on Monday, Yahoo said it had 1 billion monthly active users in January, including 600 million monthly active users who are engaged in search, communications and use of other digital content products. Yahoo also had 225 million month active users of its email service in January, the company said. Entner said that “with competent management, I view the purchase as pure upside.” He said the Yahoo purchase keeps Verizon more internet-focused, while AT&T and DirecTV are concentrating more on video. “It would have been nice for AT&T to have Yahoo, but it’s critical for Verizon,” Entner added. Questions already are being raised over whether Verizon can successfully integrate Yahoo into its existing operations with AOL. Also, the adoption of ad blockers has put the ad-supported business model “at risk,” a factor that will hit Verizon as hard as any company, he said. The history of integrating a weak company into a newcomer in the space doesn’t bode well for Verizon, argued John Colley, a professor at the U.K.-based Warwick Business School and a researcher on large takeovers. “Unfortunately, alliances of the weak — in an attempt to make a single strong competitor — very rarely work,” he said. “They are usually left with a bigger ‘weak’ player. Marni Walden, executive vice president and president of product innovation and new business, will oversee AOL and Yahoo at Verizon. AOL CEO Tim Armstrong will continue to report to her and lead the integration of AOL and Yahoo at Verizon. Yahoo will be integrated with AOL at Verizon under Marni Walden, executive vice president and president of the Product Innovation and New Businesses organization at Verizon. Walden was named to the post, which includes oversight of internet of things as well as digital media and telematics, in early 2015. AOL CEO Tim Armstrong will continue in his position and will continue to report to Walden, a spokesman said. Armstrong will lead the integration of Yahoo and AOL. Previously, Walden was chief operating officer for Verizon Wireless, under the Verizon Communications umbrella. Verizon Wireless has 112.6 million customers. 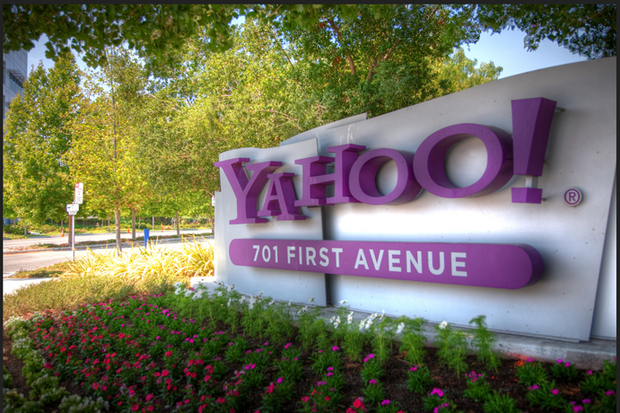 Walden and Verizon’s “first order of business will be to get Yahoo relevant again and make current Yahoo users happy and willing to stay,” said Jack Gold, an analyst at J. Gold Associates and occasional columnist for Computerworld. Overall, one analyst said Verizon’s purchase of Yahoo is high risk, although Verizon might take advantage of Yahoo’s public cloud data centers. Quiz: Are you ready to level up your social media marketing?